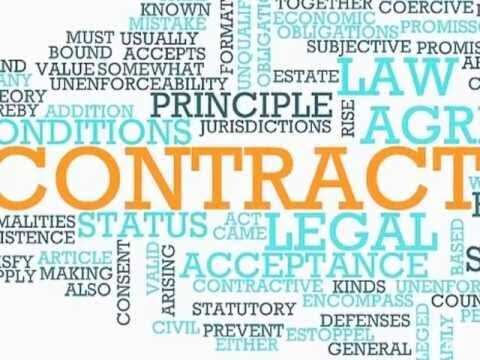 Contract law is what gets verbal agreements between people and/or companies down on paper, legally acceptable, and legally enforceable. A contract lawyer must be able to prove that the terms of the contract were not only agreed to, but properly understood, by both parties. If a portion of the contract is disputed, then the contract attorney must be able to prove the dispute and the harm said dispute caused. A contract lawyer is an attorney that handles the review and creation of legally enforceable contracts for individuals and businesses. A contract attorney also deals with four main issues: when and how the contract was formed, when can a party escape their obligations, what is the meaning of the terms, and circumstances in a breach of contract. A contract lawyer must also know the proper formatting of a contract in order to make it valid. Some of the items that need to be taken into consideration by a contract lawyer are: form, capacity, and consent. A contract lawyer should be hired if you are involved in a contract dispute. A contract lawyer can give you insight on the legal bindings of a contract and advice as to what to look out for. A contract attorney can also formulate a contract if needed. A contract lawyer might seem costly to some but it is a good idea to hire one if you are formulating a legal agreement or filing a claim against another contract. Contract attorneys give legal advice about contract laws.